¡No Pasarán! : If the bag doesn’t come spinning around the airport carousel, you shouldn’t have to pay, right? If the bag doesn’t come spinning around the airport carousel, you shouldn’t have to pay, right? ■ Any attempt to reason with the airline begins with the discovery that it may have declared all baggage fees nonrefundable in nearly every circumstance. … While the bill contains other improvements for traveling families, people in wheelchairs and others, those baggage fees are the ones that airlines have been charging for a longer time and are particularly noxious. If the bag doesn’t come spinning around the carousel, you shouldn’t have to pay, right? … if you did not get what you paid for, you ought to be persistent in your attempts to get the money back. Here’s how the process breaks down — and I mean that in every sense of the term. DISPUTING FEES WITH YOUR CARD COMPANY Having given Delta an opportunity to fix the problem only to find that I could not get my money back, I called up American Express, my credit card issuer, to dispute the baggage fee charges. The dispute process can be an incredibly powerful tool for aggrieved consumers, and you can learn more about it in my 2013 column on the topic. TURN TO WASHINGTON Depending on what happens to the new legislation, it’s possible that some of the bag fee angst will go away. 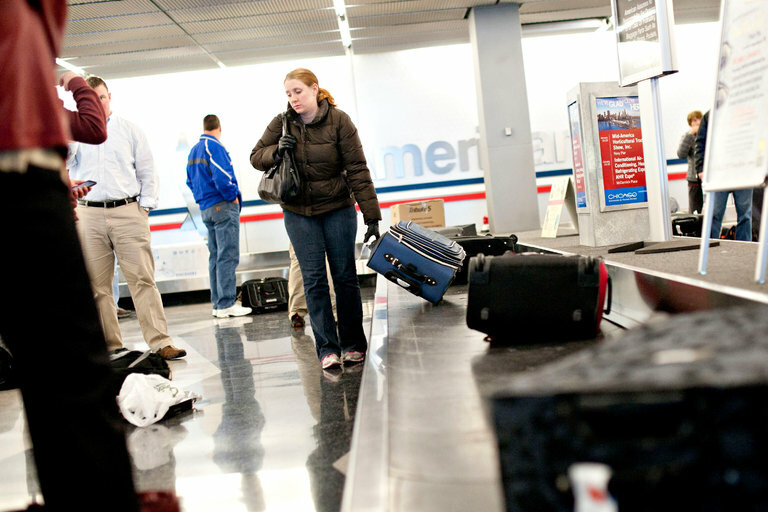 The Senate version of the bill calls for airlines to automatically refund the baggage fees when travelers do not get their luggage within six hours of their arrival on a domestic flight or 12 hours on an international one. The House version gives a 24-hour deadline, and the delivery of the refund would not be automatic. Both passages are pretty generous to the airlines. Baggage service used to be free. Now that it generally isn’t, should they really get a free pass if your bags come on the next flight four hours later and you have to deal with the logistics of making sure they get to you? … if you’re stuck paying fees on a carrier that gives you grief when the bags don’t come on time, dispute those charges and dispute them often. Another thing that gets the carrier’s attention is your filing a complaint with the Department of Transportation.